The first time I read this, I thought "Awww...what a cute story about a fox and a chicken who become friends...How sweet." Then I read it again. After the third time, I realized something just didn't seem right. 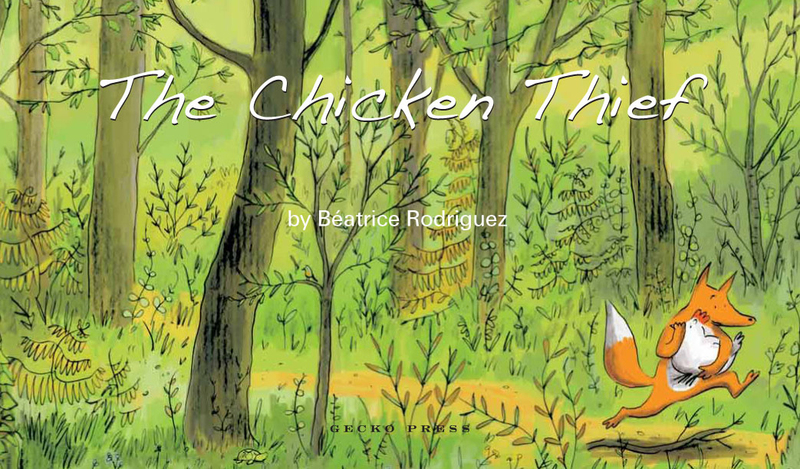 Wait a minute here...This isn't a story about a fox befriending a chicken, this is a story about a hostage who befriends her captor! 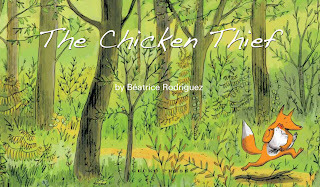 So without any words, this is a story about a fox who kidnaps a chicken, is chased by the chicken's friends...and somewhere along the chase, the chicken begins to play chess, wear sunglasses, and relax with the fox. I can only assume chicken had a psychological melt-down and empathized with the "misunderstood" kidnapper fox. For a wordless picture book that clearly describes the Stockholm Syndrome, this author is pure genius. For a wordless picture book for children, you may want to think ahead on how you'll be telling the story.